Properties: Ammonite is often used for stability in life. This is actually a fossilized creature that resembled a snail, over 65 million years old. It is now a helpful stone which offers a sense of relaxation. It is believed that Ammonite brings stability and order in life, and eases spiritual growth and development. It is useful for professions that require accuracy and analytical thinking. 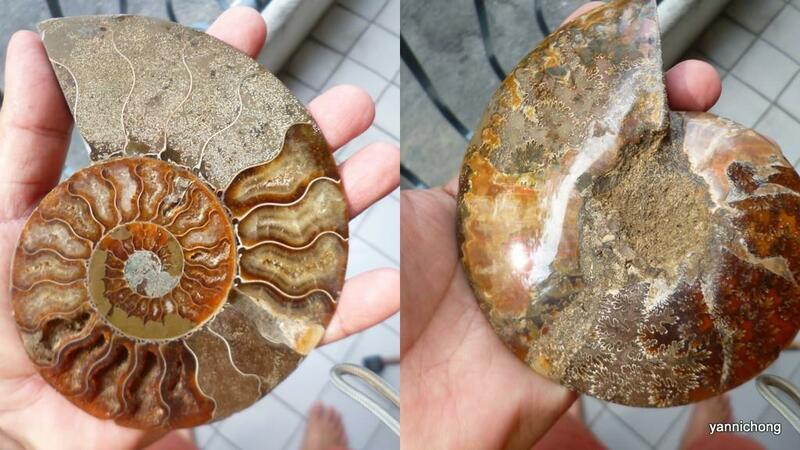 Ammonite is a stone of protection. It provides for insight and it helps to assist one in seeing the “whole picture.” Since it is associated with the Root Chakra, it encourages ones survival instincts and is grounding. Folk Remedies: This is a great stress stone and helps to bring relaxation. It helps to remind us to keep breathing, due to its circular design. It is useful in fighting depression and degenerative ailments and is also good for the lungs. Feng Shui: Ammonite is believed by Feng Shui masters to be associated to the scales of the mythical creature “Chi Lin” Therefore, it is said to be a powerful wealth stone and brings prosperity, grandeur and illustrious sons, similar to the potency of the Chi Lin.